A light, comfortable hands-free appliance used 20 minutes per day as a complement to Invisalign to accelerate tooth movement. 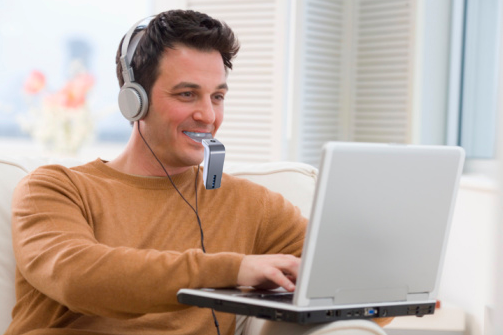 Acceledent is an orthodontic micropulse device to help your orthodontic treatment work faster. AcceleDent generates small vibrations – micropulses – as your teeth are guided by your orthodontics. These micropulses accelerate the changing (or remodeling) as your teeth are guided by your orthodontics. This means you can finish your orthodontic treatment faster, and you will feel more comfortable during treatment. This added value technology is available at any stage of your treatment. Feel free to ask us for details and if it can help you to meet your goals more efficiently!